Happy belated birthday Kookie! Yes he is 40 years old in Korean age. However, he still look incredibly hot, handsome, youthful and cute. I am a big fan of Kim Jong Kook. This picture was from Running Man episode 242 - Global mission. Fans from all over the world send in their emails and suggested some games to play. It is true that Running Man has became worldwide famous Korean urban variety programme. Kim Jong Kook look adorable as the wolf when they played "what is the time Mr Wolf?". I love the guests that were featured in this episode. We have the regular guest star Jung yong Hwa, Hallyu actor Jang II Woo and Hallyu idol F.T island Lee Hongki. Have you watch this episode? If you have not watch it, I would highly recommend this episode. Jung II Woon is so competitive in the games. I am pleasantly surprised with his competitive spirit since he appears to be soft, gentle and cute in most of his roles in Korean drama. It is nice to see the other side of him in Running man. I guess Kim Jong Kook is right about him having a athletic body. At the name tag ripping game, he was so enthusiastic in his "hunting". 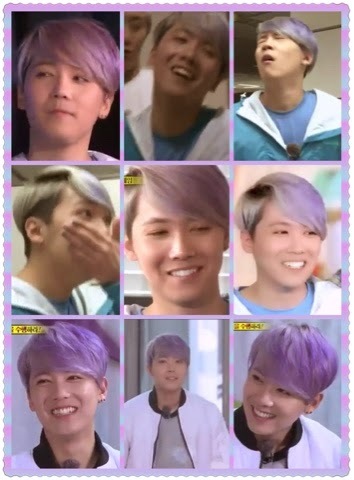 Lee Hong Ki is such a cute and soft teddy in Running man. He tried his best and put in effort to win for his team, however he failed to win in all the games. Haha and Yoo Jae Suk noticed his disappointment and tried to console him. He made a wounded cute puppy face that is so adorable. 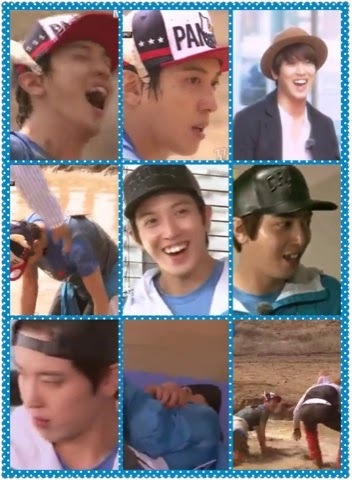 Jung Yong Hwa is always the ace in the team. 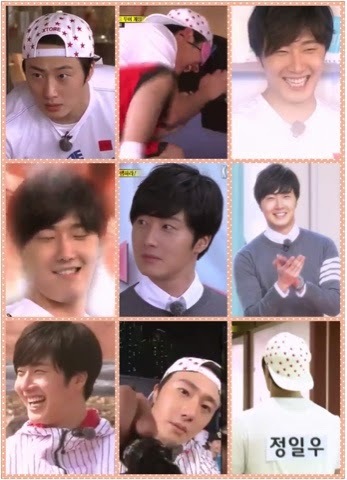 He is probably the only one that can challenge Kim Jong Kook since he is fast, agile and youthful. Surprisingly he could escape from Kim Jong Kook clutches at a hair's length in the game "what is the time Mr Wolf?" Poor Kookie, he looked so tired after the game! I think he did enjoy himself playing the character of a fearsome wolf. I love the way he grinned and the way he moved his hip from side to side. It was amazing how he pounced onto his "preys" Haha, Yoo Jae Suk and Ji Suk Jin! Kim Jong Kook is the leader of his three members red team. Yoo Jae Suk is the leader of the seven members blue team. I love that some things just never change. Our Kookie commander and the "beast" Jung II Woo work well together to catch the other team members. Jung Yong Hwa and Gary being the first that get caught, leave the blue team with little chance of survival. Their chances to win the game was lessen after Song Ji Hyo was caught at the staircase landing. Lee Kwang Soo did not contribute much to the red team. I like his frightened expressions, especially when he met Jung II Woo at the corner. It seems like he had momentarily forgotten that they were in the same team. Team leaders Yoo Jae Suk and Kim Jong Kook were so funny when placed together. They simply like to tease and play around with each other. Lee Hong Ki was the only surviving member in Blue team. He was left with the task to find all the alphabets to make the word - Running Man. However, I doubt he will ever complete his mission since the cunning red team had hidden the letter U card. The Red team won and the Running Man gave a bow to their global fans. Three cheers for Running Man! I really enjoyed this episode, what about you?